Corned Beef and Cabbage – Better Late Than Never!!! 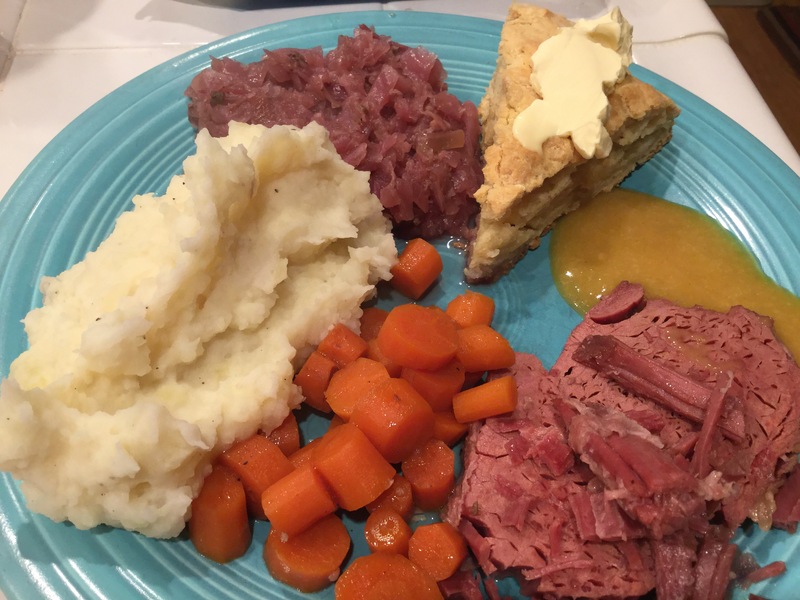 My youngest daughter’s birthday is on St. Patrick’s Day and she wanted to go out that day, so our traditional dinner of corned beef and cabbage was put on hold. But that’s OK!!! Corned beef can be kind of pricey and I was happy to get it on sale after the holiday. It tasted just as good a few days after the holiday! Better actually! Since it was Sunday, not Thursday, I had all day to pamper this meal. This particular version was the best version I’ve ever made. Tons of fantastic flavor and beautiful colors! One difference you’ll notice, is that I choose to use red cabbage. Our German family, loves pickled red cabbage, so I kind of go that route with this dish. As I’ve mentioned in numerous posts, I’m not a huge fan of cooked carrots, so I opted to cook my carrots separate from my corned beef and cabbage. 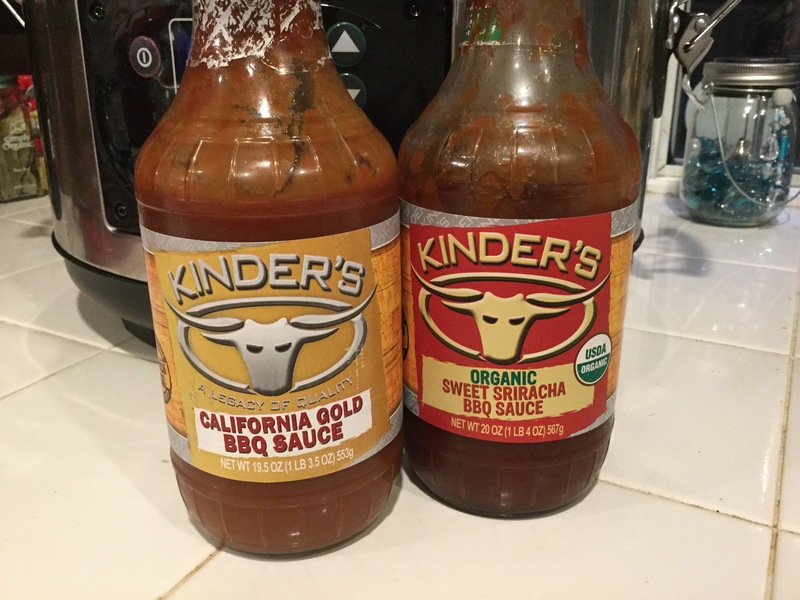 I did use some of the liquid from the corned beef, so I got the same fantastic flavor, but everything else did not take on the flavor of the carrots. I just simmered these in a separate pot. They took on the great flavors of the liquid! I also chose to serve mashed potatoes. I had a large group, so the corned beef and cabbage filled my slow cooker. This is why I opted to go with mashed that I could cook in a separate pot. I actually included a couple of turnips too. I just boiled those right along with the potatoes and the mashed them all together with some fat free sour cream, fat free milk, fresh garlic, salt and pepper. You’ll also notice the wedge of Irish soda bread. I blogged that recipe yesterday. It was incredibly good and so easy to make!!! In slow cooker, add corned beef, garlic, onion and beef broth. Put seasoning packet from corned beef and bay leaves in cheese cloth packet or herb infused and submerge in broth in slow cooker. Cook on low for 8 hours. Add red cabbage and chicken broth. Continues to cook for 2 hours. After 2 hours, uses a slotted spoon to transfer cabbage to another pot. Spoon in about 1 1/2 cups of liquid from the slow cooker. Add vinegar, sugar and pepper to cabbage and simmer for a few minutes. While cabbage simmers, remove corned beef from slow cooker and slice against the grain. We like to serve our corned beef with various types of mustard. I really liked mine with a Hawaiian Honey mustard we had on hand. Dijon is really good too! Brewers Pot Roast – Beware! Your House is Going to Smell Fabulous!!! Beware! This yummy pot roast will fill your house with a fabulous aroma as it slow cooks! You’ll be so ready to chow down and luckily it tastes as good as it smells! The meat will be fall apart tender and the gravy is so incredibly savory. You won’t be able to get enough of it! Another great thing, is this is super easy to make and pretty low in fat for the amount of flavor it delivers. 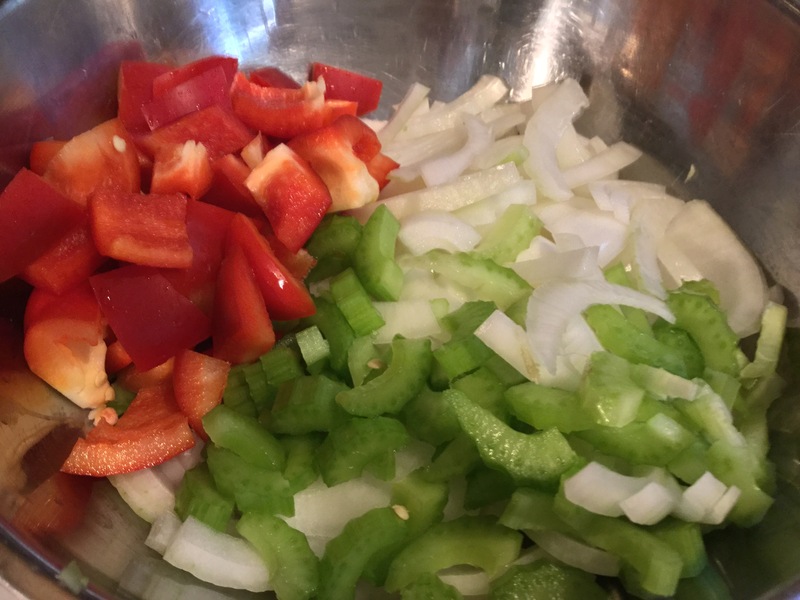 This pot roast recipe was originally called Pepsi Pot Roast, but I was looking to reduce the calories, so I decided to use a light beer instead of the soda. The carbonation is a great meat tenderizer. The Pepsi makes for a much sweeter gravy, but the beer didn’t disappoint. The gravy was just as delicious. We had a Bud Light lurking around, so that’s what I used. 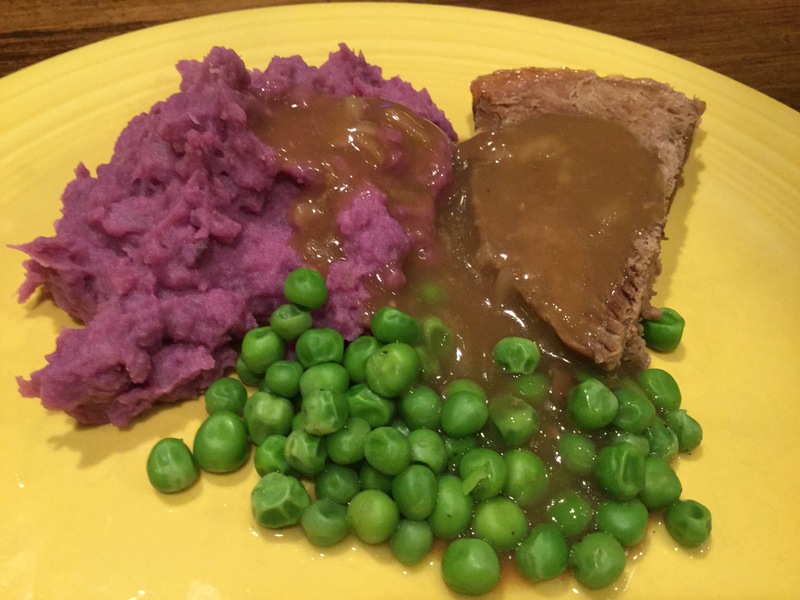 You probably noticed the bright purple potatoes on the plate. LOL! We all decided these would be perfect for Easter dinner. I had a large, purple sweet potato, so I used that and added 3 russet potatoes to make the mash you see here. My standard mashed potato combo can be used with white potatoes, sweet potatoes or any combination. I mix in milk, fat free sour cream, fresh garlic and salt and pepper. Then I rounded out the dinner by cooking some frozen peas. This was great hearty dinner for a winter’s night! Put roast in slow cooker. Pour in beer, then mushroom soup and then sprinkle with onion soup mix. Cover and cook on low for 6 -8 hours. 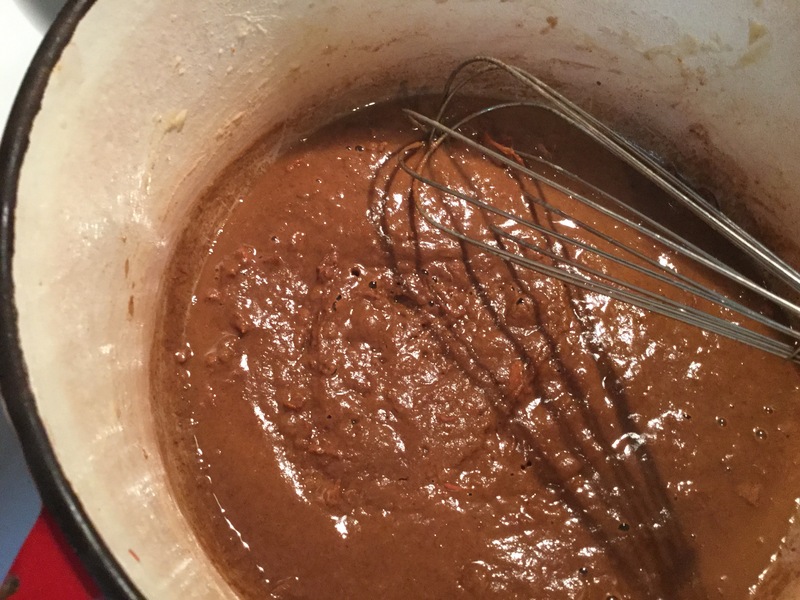 To make the gravy: Towards the end of cooking time, ladle out 2-3 cups of liquid from slow cooker into a sauce pan. Make a slurry of 1 tbsp cornstarch and 1 tbsp water. Stir until smooth and then pour into gravy and stir while simmering over medium heat. Wait! What??? 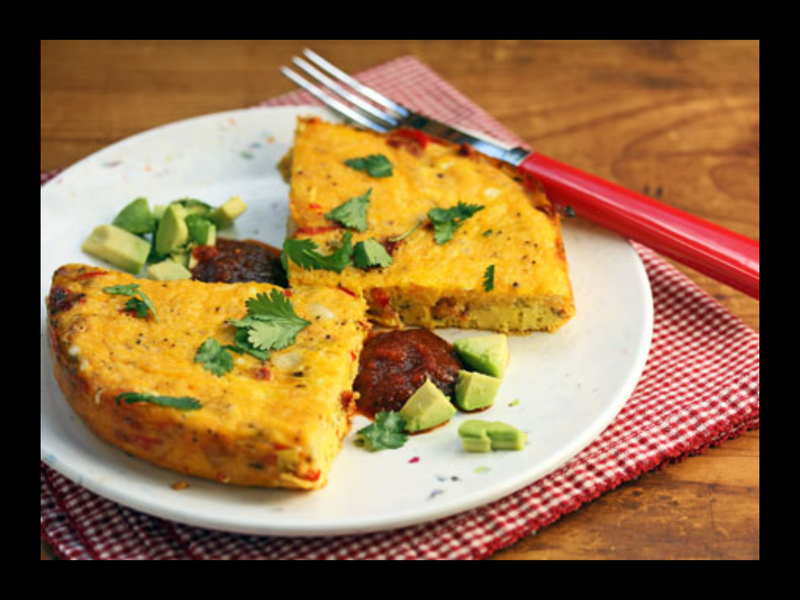 I can make quiche in my slow cooker?!?! Hold the phone! I gotta try this one! Those geniuses over at Taste of Home have done it again!!! Can’t wait to try this! 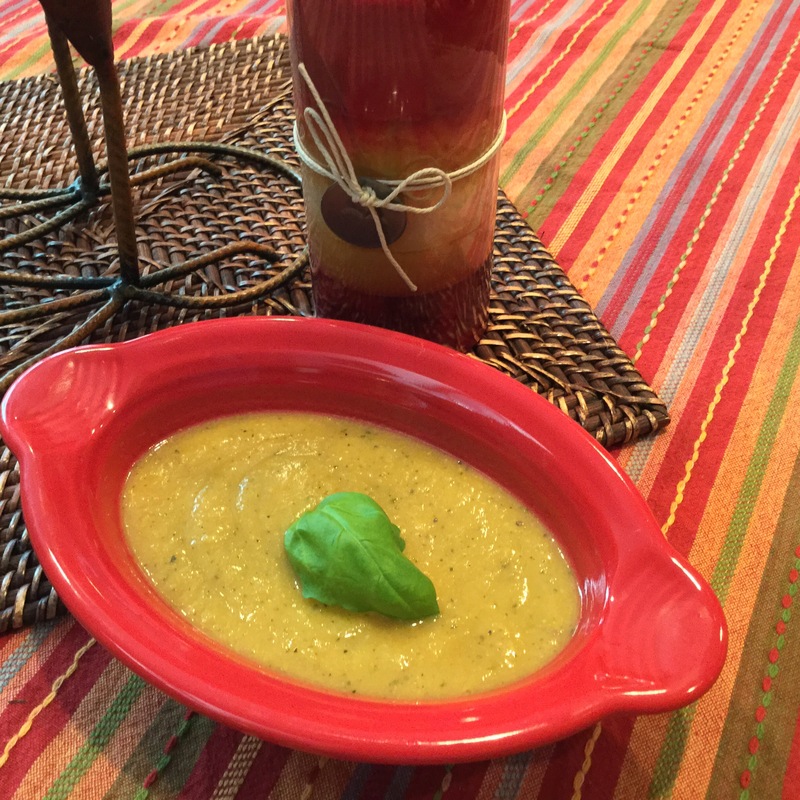 Looking for something special to serve for dinner? Want to impress the heck out of your dinner guests? This dish will do it! 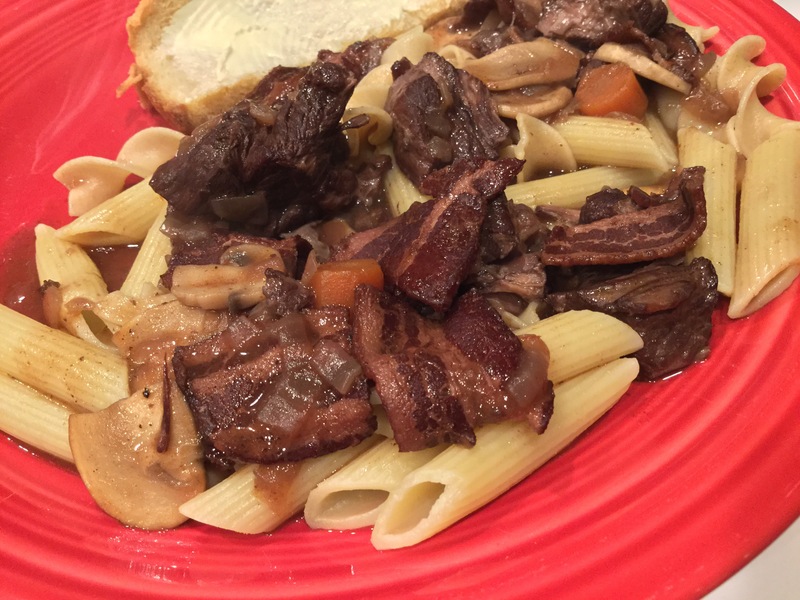 Beef and bacon slow cooked in red wine with onions and carrots, topped with sautéed mushrooms. The succulent meat just melts I your mouth and the red wine sauce is rich and delicious. And you can brag to your friends that you made a classic dish made famous by the amazing Julie Child! I grew up watching Julie Child cooking on TV. She was always so charming and encouraging people to try cooking new things. I also fell in love with the movie Julie & Julia when it came out. This movie really made me want to try cooking some of Julia Child’s recipes. To do this I was going to need her cook books! Here’s where my wonderful husband comes in! A couple of years ago, he bought me the two book set of Mastering the Art of French Cooking. 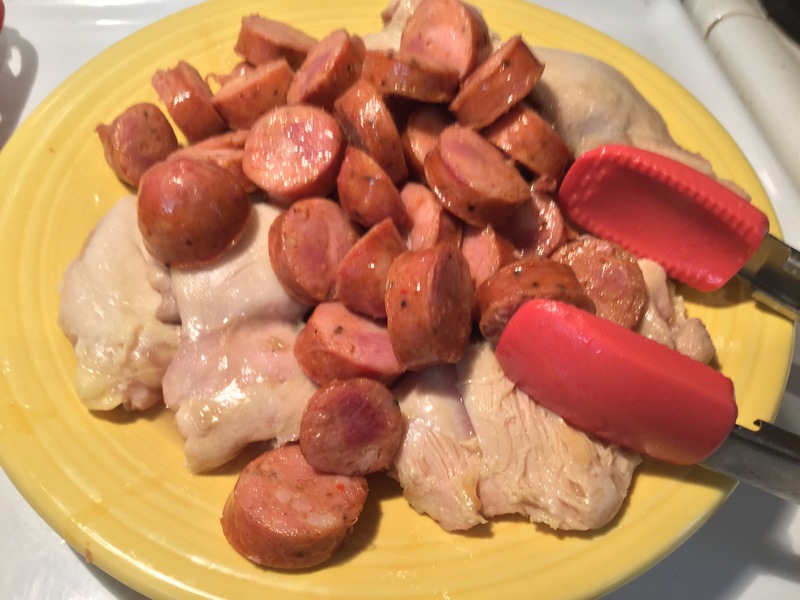 I don’t plan to cook my way through the whole thing, like Julie in the movie, but I did page through and pick several recipes that were must try’s! Of course, her Boeuf Bourguignon was on my list. I’ve actually made this one a few times now! I do admit that I left out one ingredient. She cooked her bacon in olive oil. I didn’t see the need to add this additional fat. The bacon has plenty fat of it’s own and I didn’t miss the olive oil one bit. I choose to serve this dish over pasta as there was plenty of sauce. It would be nice over rice too. 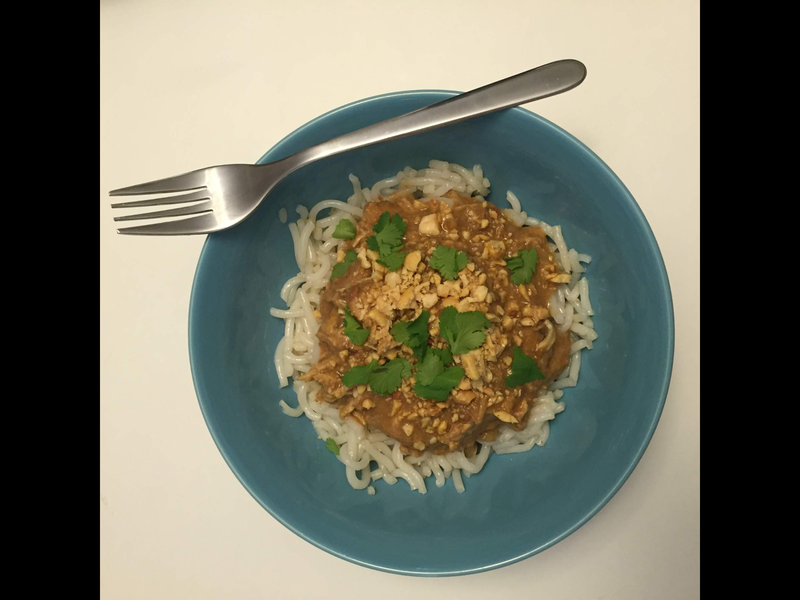 In her cookbook, Julie explains that this dish is traditionally served with boiled potatoes, but buttered noodles or steamed rice can be substituted. I am also going to simplify the instructions a bit.I’d be here all morning typing if I copied it exactly from the cookbook! But I promise this will still help you get the job done and arrive at the same result. 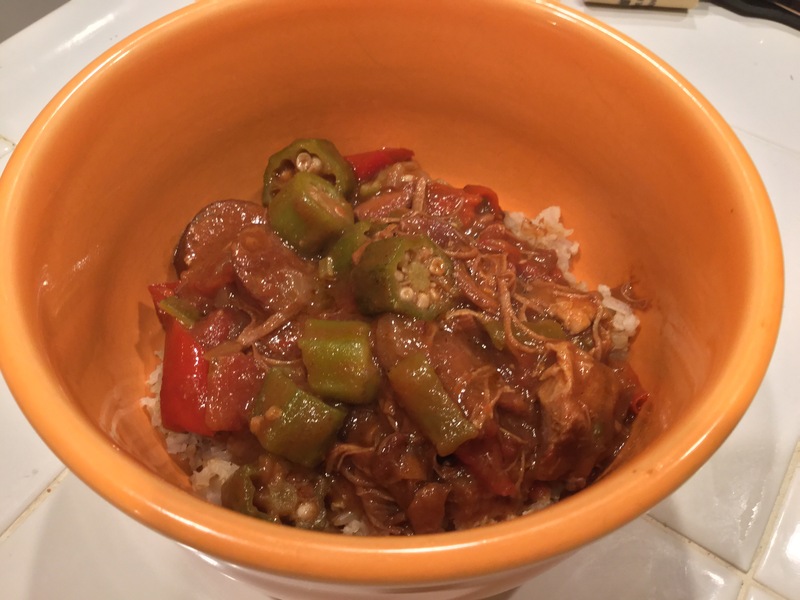 This recipe could be cooked in a Dutch oven on stove top or for longer time in a slow cooker. Cook bacon over medium high heat in Dutch oven for 2-3 minutes until lightly browned. Remove bacon and transfer to a plate. I drained it over paper towels. Leave your bacon fat in the Dutch oven. Pat beef dry in paper towels. It will not brown properly if it is damp. Sauté the beef in the bacon fat a few pieces at a time until browned on all sides. As it finishes browning, remove beef and transfer to dish with bacon. In the same fat, brown the onions and carrots. Pour out any remaining fat. Return meat to the Dutch oven sprinkle on the salt, pepper, flour, thyme and toss. Pour in wine and then enough beef broth so that the meat is barely covered. Add onions and carrots. Stir in the tomato paste and garlic. Add bay leaf. Cover and simmer over medium-low heat. 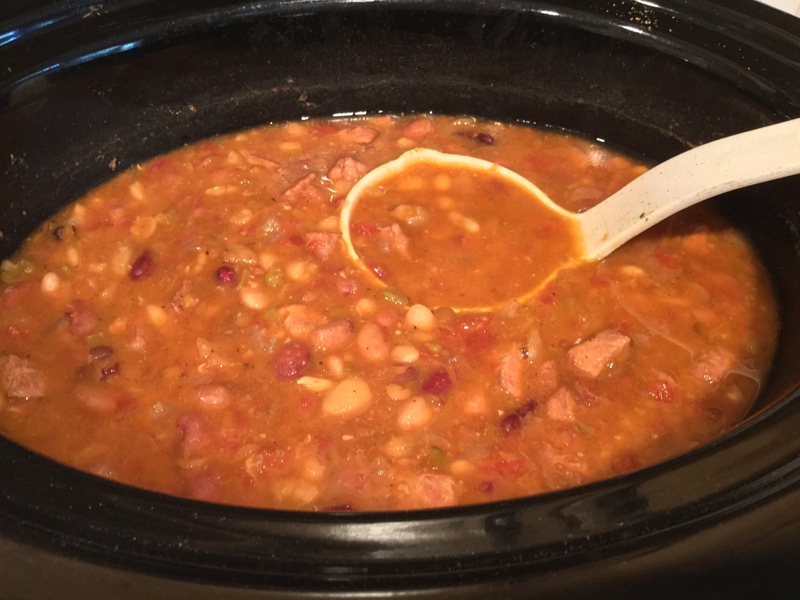 Regulate heat to maintain a low simmer for 2 – 3 hours. Towards the end of this cooking time sauté the mushrooms in a tbsp butter. Serve beef over noodles or rice and top with mushrooms.